Cost control and secure management of printing is a hot topic in all organisations today. Safe2Print™ offers a robust, simple and smart solution that helps companies to a more efficient and user friendly print environment. Safe2Print™ allows you to eliminate the print servers, reduce print server maintenance costs, reduce network load and make the users happy by making their prints jobs faster than ever. Give users full control with all finishing options without having to worry about printer drivers, as the built-in Universal Print Driver takes care of the rest. Turn every network connected printer and MFP into a personal secure printing device using the secure pull printing feature that ensures that documents are not printed before the user logs in and retrieves the documents. Send print jobs to MFPs, printers or the Central Reprographic Department (CRD) and integrate the Central Reprographic Department (CRD) to allow access to all users as part of a coherent printing experience. The document routing can be done automatically based on rules and document parameters or users can decide themselves to send the document to a specific printer that matches their requirements for the specific print job. Get the complete overview of print and copy related costs with the analytics tool and built-in reports generation. These will help you to understand your print infrastructure, gain control with the print management function and start saving immediately. Setup rules to automate redirection of print jobs based on document parameters such as document size, colour jobs, application, or finishing requirements in order to make sure that the print job is routed to the most appropriate printer. Rules can also ensure that prints from specific applications, e.g. e-mails, are printed in greyscale and duplex. Many large organisations have their in-house central reprographic department (CRD) that is equipped with high volume printers and production printers. 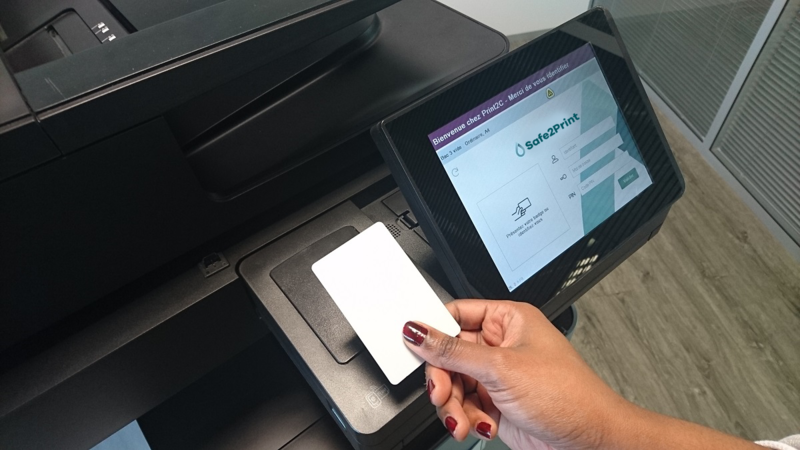 The standard Safe2Print™ user interface can give users access to print to any device in the organization including the CRD (given that the user rights allow this access). In theory any job can be redirected to the CRD but in order to not abuse the CRD for smaller or unimportant print jobs we recommend that certain rules for use of the CRD are implemented. Thanks to the dedicated Safe2Print™ mobile app, you can release your print jobs directly on the printer of your choice, via the most currents smartphones & tablets (iOs, Android, Windows Phone & Windows tablets). The app simplifies the authentification process allowing you to release your jobs via QR codes reading, NFC or Bluetooth. Chose a solution that is not only easy to install and manage for the IT operators but provides a more flexible and user friendly printing solution to users.